Healthy soil is that which allows plants to grow to their maximum productivity without disease or pests and without a need for off-farm supplements. 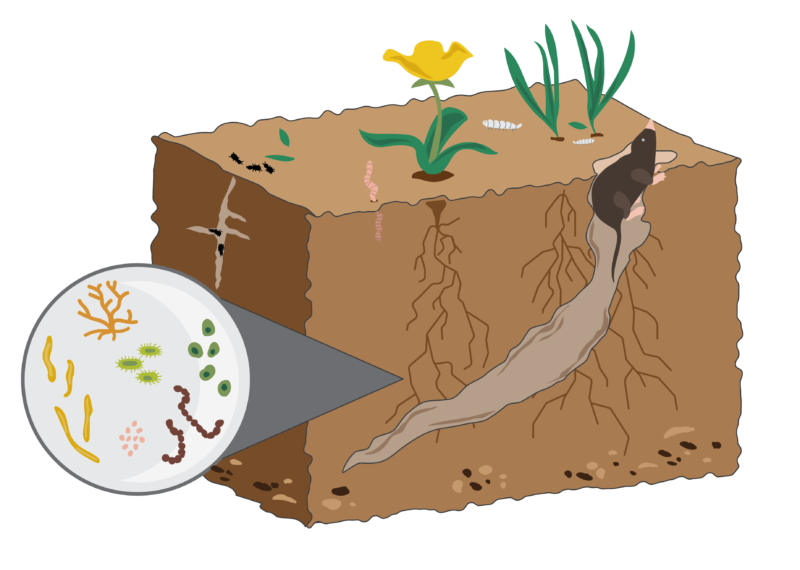 Healthy soil is teeming with bacteria, fungi, algae, protozoa, nematodes, and other tiny creatures. Those organisms play an important role in plant health. Soil bacteria produce natural antibiotics that help plants resist disease. Fungi assist plants in absorbing water and nutrients. Together, these bacteria and fungi are known as “organic matter.” The more organic matter in a sample of soil, the healthier that soil is. To determine if soil is healthy, farmers and scientists measure several factors. How many microorganisms are present? How many nutrients—nitrogen, for example—are in the soil? How well does the soil retain water during drought? How much carbon can the soil sequester from the atmosphere? 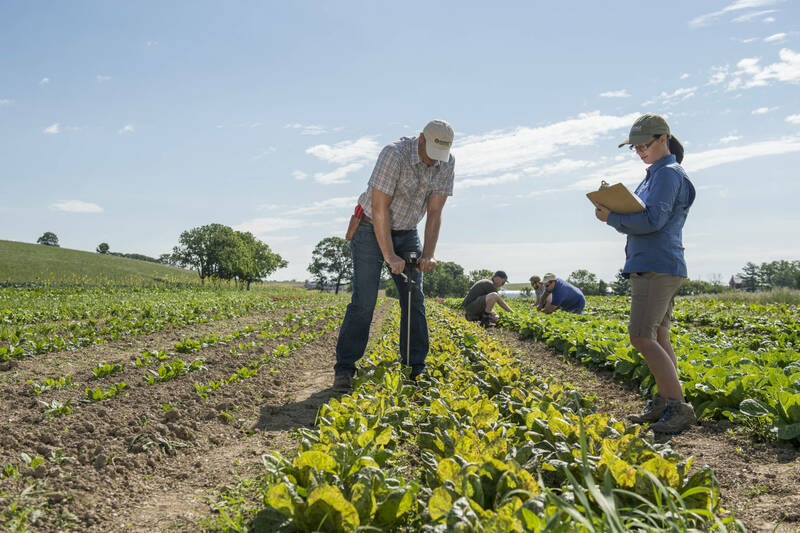 At Rodale Institute, our scientists collect soil samples in the field. 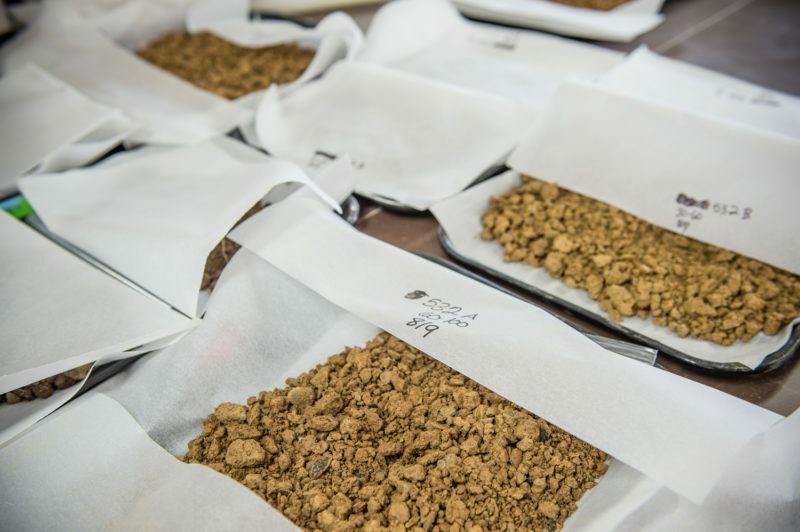 Back in the lab, they dry and weigh the samples before analysis. Our research has shown that while conventional systems erode and deplete soils, organic systems improve and build the soil over time. Healthy soil contains aggregates that help it bind together, preventing erosion and run-off. It can hold more water, so plants fare better in drought. It contains more bacteria and fungi that help plants fight diseases and pests. And healthy soil also contains more minerals and nutrients that feed plants. Healthy soil is the foundation of our global food system, but currently, it’s at risk. The UN reports that using current practices, we have just 60 years of farmable topsoil remaining. Every organic farming practice contributes to healthy, resilient soil that can support abundant life both below and above ground, making organic farming a powerful tool for soil conservation. Every day, you can take action to help save the world's soils.